1. Has the Golden Age of High Quality content in China come? Your marketing contents must impact the Chinese customers. Provide to them with good qualities, dynamic and attractive contents. Integrate some pictures and videos to make the content attractive to them. Chinese spend a weekly average of 25hours online. A third of this time is dedicated to watching videos and pictures. Let’s make your content to be the one they watch: compelling storytelling and well-designed pictures are key to success! Lancôme, the French cosmetic brand created a Chinese website for Chinese: Chinese website with quality content. That enabled him to be close to its customers and to meet their expectations. This slowmotion video is all about engaging the Chinese customer while associating the brand with very positive symbols and transmitting a strong message. Here we have the rose that links Lancome with a strong and out of trend symbol. At first the viewer may not understand why a video about a cosmetics brand is about liquids and flowers in slowmotion: engage the customer by the curiosity, a very strong motive to buy something, especially something new. 2. Go Baidu, Go Longtail! The keywords employed must be selected with reflection. Focus on the customers who can generate quality traffic. Opt for the long train keywords instead of the competing keywords (basic). The long trail keywords represents the whole of the keywords known as “original” or “rare” leading a site to be found in the search listings. These keywords, taken individually, generates little traffic. However, by cumulating them, they can represent until 80% of your traffic. For example, if you wish to create a site or a page which refers to the cosmetics in China, made then a list of all that approaches cosmetics. Like this, you will be likely to have long train words. These words can be “companies selling cosmetic products in China” or “Where to find cosmetics agencies in China”. 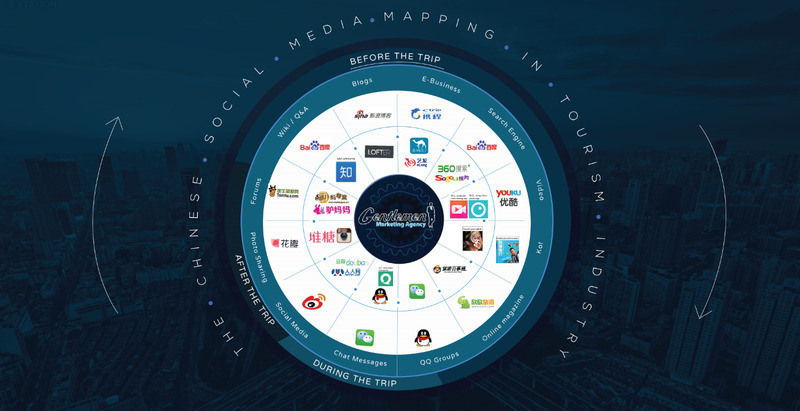 Now, let’s go to tourism, an industry strongly in need of SEO in China : good ranking = good trust. 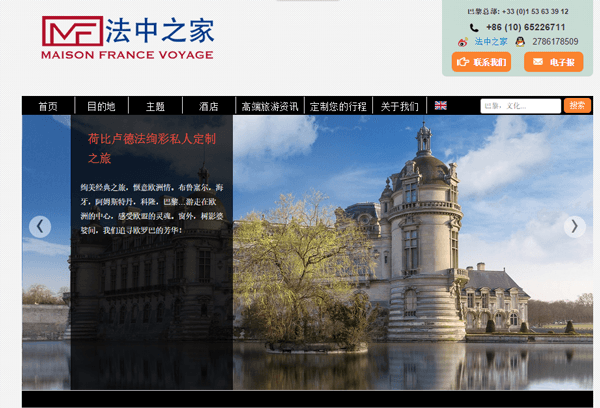 It is the case of Fahonzhijia (Maisons du monde group),specialized in personalized trips to France for Chinese outbound tourists. They have chosen the long trail keywords strategy. Technique which give them a large number of quality traffic. Besides, forget the simplest and most competitive keywords, to have the edge on them, you need to pay. Wonderful isn’t it? Paying your way to the top would sum it up pretty accurately. Welcome to bid your way to the top! Another wonderful piece of news: paid results do not appear clearly on Baidu. Since customers don’t want to go through all the ads but want to find. A website cannot anymore occupy the 1st pages of the search engines without optimization techniques of these Web pages. The SEO enables you to increase the relevance and the visibility of your site according to your keywords thanks to the referencing. Referencing, complex technique, is done by professional expertin this matter who have a Chinese search engine solid culture. By not working with them and try by yourself, you are likely to make a mistake while thinking of optimizing your site, you must use the services of SEO experts in China to be sure about what you do (List of Top SEO agencies in China here). The more your sites and Web pages will be classified in the top of the SERPs (pages of results of the search engines), the better they will be relevant for the Chinese consumers who will not hesitate to click over your links. 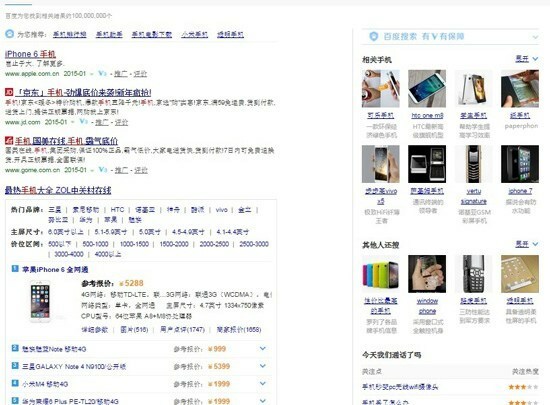 By searching the smartphone companies on Baidu, the Chinese Internet, the first referred company is Samsung. The Chinese are the most connected people in the world. They are more than 600 million web surfers and grant an important place to the social networks and the Internet, those influencing their decisions of purchase. You were to thus concentrate your marketing plans on the Chinese media. You have to create a Chinese Website to facilitate comprehension and to arouse the interest of the Chinese consumers. Your presence on Wechat or Weibo is fundamental. Know that the Chinese grant more confidence and credibility to the comments left by their peers on the social network than the comments left on the official company site. Burberry, the famous luxury brand has an account on Weibo and Wechat in order to touch more Chinese consumers. Since its presence on the social networks, it could observe an increase in its sales. 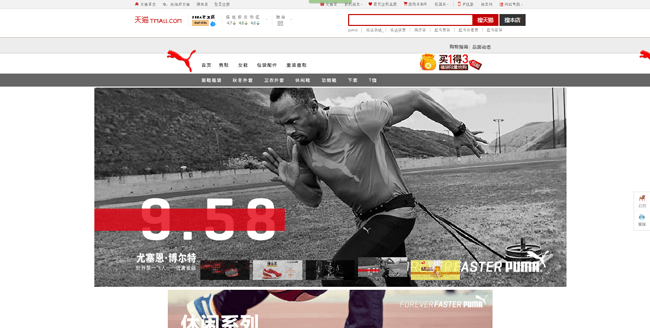 In the same way the brand Puma decided to be on the Chinese market and marketed its products via the Chinese website Tmall. The new trend in China is the M-Commerce. This market develops more and more and has grown consistently. Take advantage of this trend. The purchases on mobile are simple, effective and practical with a payment time equivalent to 67 seconds approximately. Your site must be able to be accessible on the smartphone. Don’t forget there is more than 1 billion smartphone users in China. If you have a presence on the smartphones, you can make 50% of your sales. Also, don’t neglect the influence of the opinionleaders present on the social networks. They play a crucial role because, they can easily increase the audience and the traffic flow on your sites. Yoox, the online clothing shop is present on the smartphones and allows its Chinese consumers to make directly their purchase. Now you understand how much China relies on internet and how profitable it can become IF you know the right ways to do it. A good knowledge of the right channel will allow you to quickly gain visibility and credibility as a brand. These mean (almost!) everything in China. Once all of these parameters are well understood, you will be able to enter the Chinese market more quickly and efficiently using the 5 aforementioned techniques. Thanks for your time , if you have any question please, feel be free to ask in comments! Arrived in China in January 2007, he discovered the Chinese culture. As his real passion was Marketing, he realized analyzes of Chinese consumers’ behavior, and many case studies on the establishment of businesses in the Chinese market. Thus, he created the website www.marketing-chine.com. Due to its original content it has now been several years that Marketing Chine is a leading Key opinion Leader concerning marketing and China. 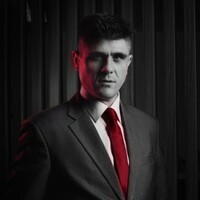 Olivier Verot opened his web marketing agency "Gentlemen Marketing Agency" and sell his expertise when it comes to digital communication. He will be the best partner for any company eager to communicate in the Chinese Internet and improve the traffic of their websites as well as building a Chinese community around their products.